Katie Gottlieb, former design student in the College of Design, Architecture, Art, & Planning (DAAP) and one-time library student worker, was selected by Boutique Design magazine as one of their 2013 Boutique 18, its yearly roster of noteworthy, on-the-rise designers of hospitality interiors. You can read about Katie, and the other 17 designers, in the magazine available online. During the week of April 14-20 the University of Cincinnati Libraries will join other libraries on campuses and communities nationwide in celebrating National Library Week. The University of Cincinnati Libraries will celebrate National Library Week by offering our users an opportunity to demonstrate their research skills and win prizes by taking a research skills contest. Once again, the University of Cincinnati Libraries will celebrate the International Edible Books Festival with an event scheduled for Monday, April 1 from 12:30-1:30pm on the 5th floor lobby of Langsam Library. At the event, nearly 20 participants will present their edible creations that represent a book in some form. The Vol. 12, No 1. issue of Source, the UC Libraries newsletter for faculty, students, staff, and Friends, has published and is being distributed throughout the libraries and campus. Create an Edible Book for the International Edible Books Festival, Monday, April 1, at 12:30pm in the 5th floor lobby of Langsam Library. Some of our regular blog followers may have noticed that both the Archives and Rare Books Library and the Winkler Center are active contributors to the OhioLINK Finding Aid Repository. This repository was designed to help researchers find special collections, manuscripts, and archival material throughout the state of Ohio. A total of 60 institutions are currently participating and the repository now holds more than 4000 finding aids. Researchers can find 330 of the Archives and Rare Books Library’s finding aids on the site. Although the repository is not yet comprehensive, it does allow researchers to find an important avenue to find collections within the state of Ohio. This week I’m reading Pete Townshend’s recently published autobiography, Who I Am, and it brought to mind how we document part of his life here in the Archives & Rare Books Library. 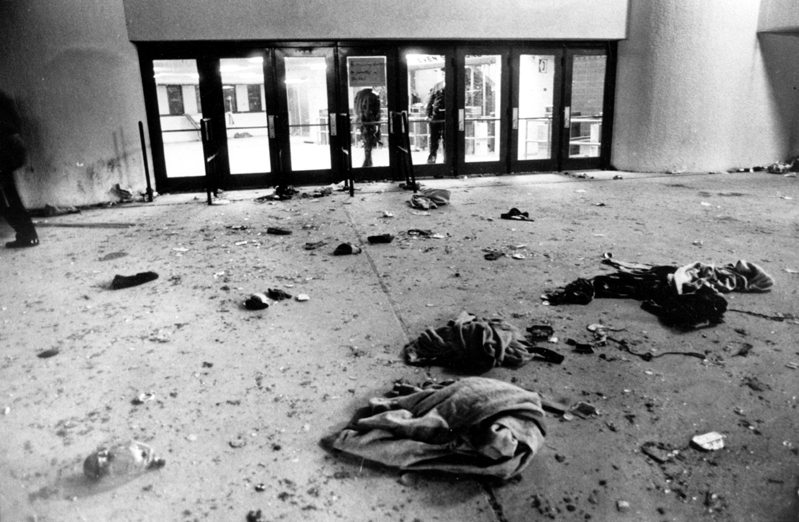 It was nearly 33 years ago that The Who played Riverfront Coliseum in Cincinnati on December 3, 1979 and eleven people were killed in a stampede for festival seating.